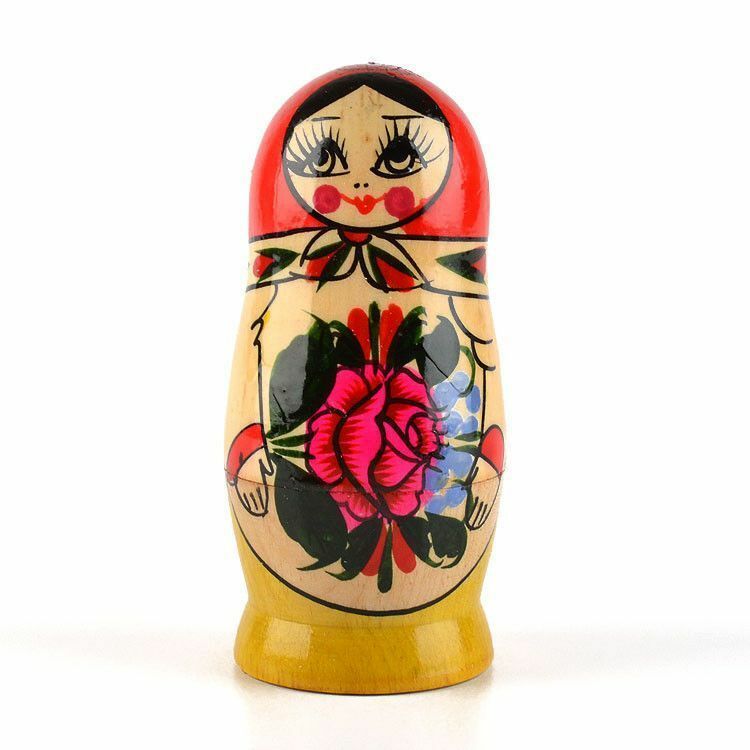 Matryoshka with classic Red Roses design. 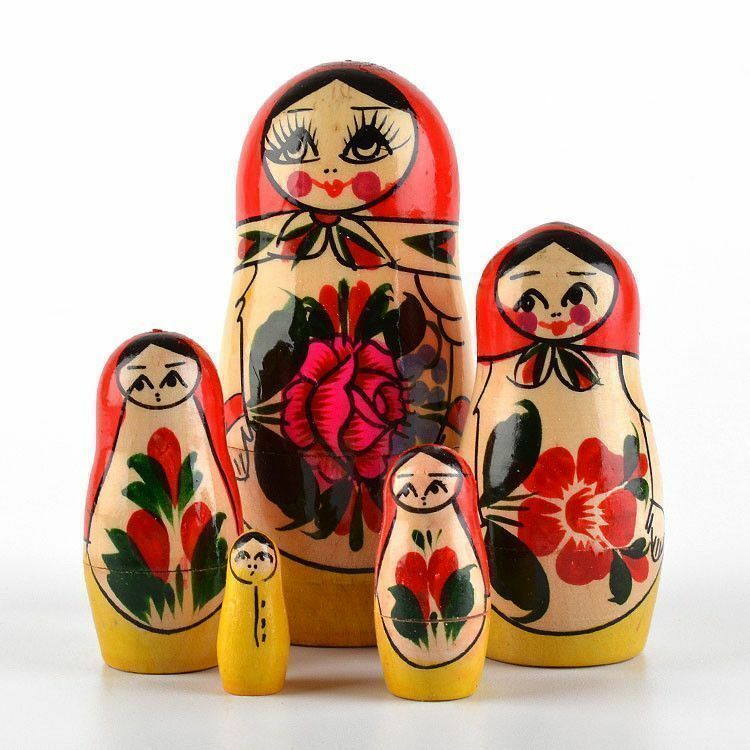 Approximately 4 1/2" tall with a total of 5 dolls. 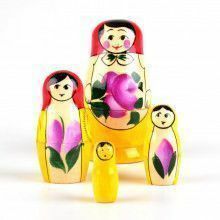 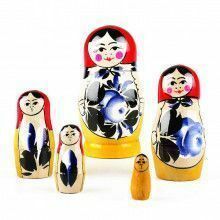 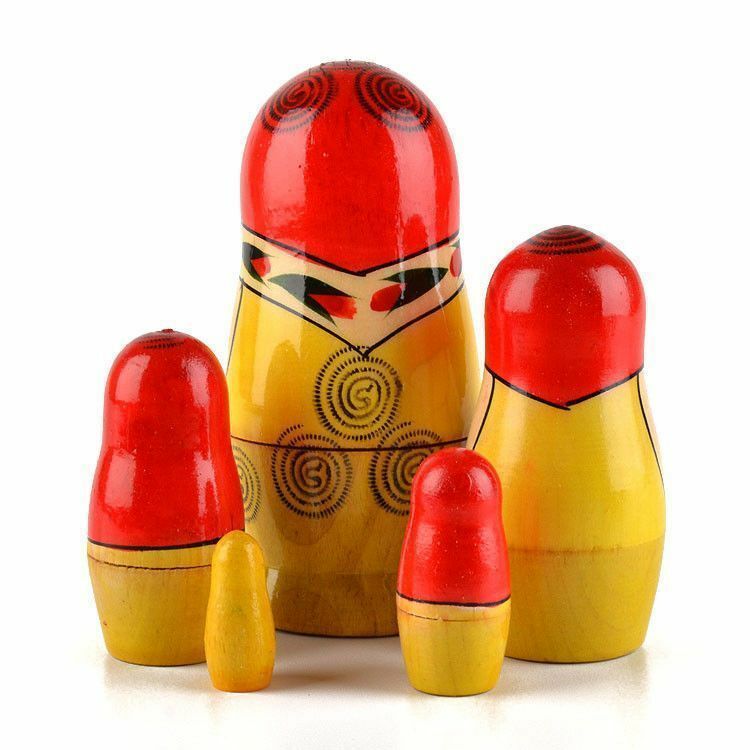 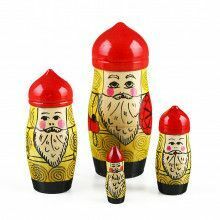 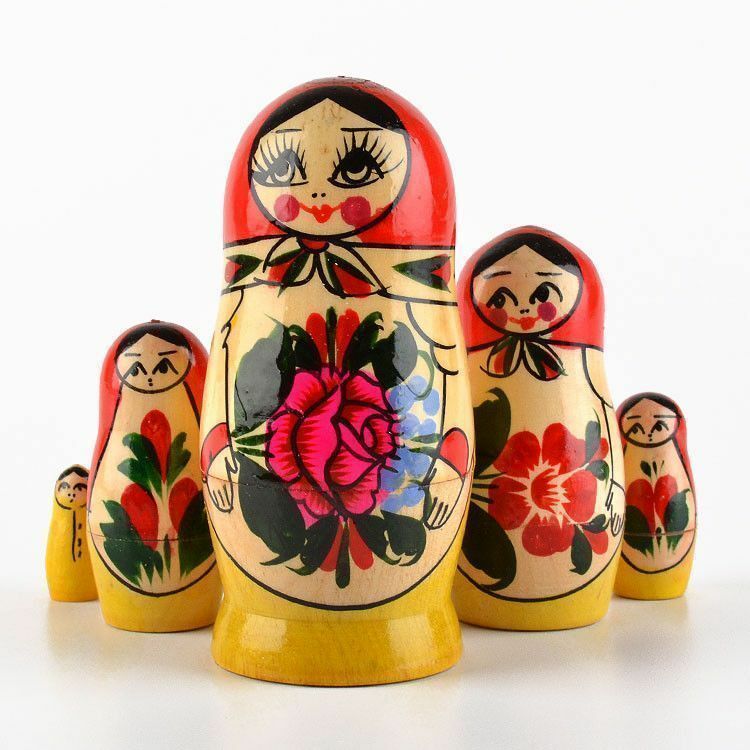 This traditional Russian nesting doll is a great choice for a unique gift. 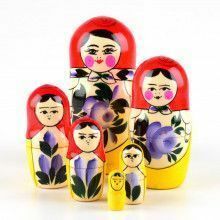 Her smiling chubby-cheeked face and big eyes will bring joy to one's home or office.